The world’s gone digital, Ready? Take our short assessment which generates a headline view of your organisation's digital capability across key areas of the business. This benchmark will be used as a starting point to inform a digitally led technology strategy, tailored to the requirements of your organisation. We are Vodafone Consulting Services. We understand how technology, adopted correctly, can be the catalyst for change for your Enterprise. However, deployed poorly, it can paralyse your business operations and impede the business transformation that you desired. Over the years, Vodafone Consulting has developed their understanding of the markets and regions that you operate in and the large number of the Enterprise transformation challenges that you face, hence why we start with doing what we do best: consulting services. At Vodafone Consulting Services, we see technology as an enabler for change. Our integrated consulting and innovation approach is designed to bring clarity to your business and technology needs, identify opportunities for new digital strategies, and to build the best case for change. We’re clear about what we are: we’re consultants who focus our efforts and knowledge where Vodafone can really impact your Enterprise. We initiate a process that thrives on opinion and vision. We offer advice based on broad experiences, devise solutions and bring them to fruition whilst mediating their merits and outcomes. Vodafone’s global experience in enabling people to work anywhere and everywhere, and collect and share data from people and machines to deliver unique analytical insights, underpins each one of our conversations with you, helping you become what Vodafone calls a ‘Ready Business’. Our Mobility DNA is keeping Enterprises moving securely and efficiently. For many organisations, simply knowing where to start and if you are capable of doing so with your current organisational capabilities is a key barrier. Working with over 1000 Enterprise customers, we know how Enterprises work and we know how to help them. For any organisation to deploy change, they need to be sure that it will deliver the results they are looking for. So before you make major decisions – you need informed recommendations based on real data and insight. 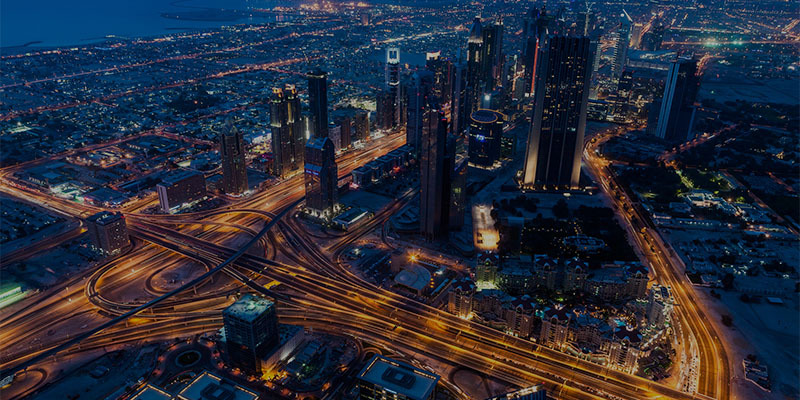 Vodafone Consulting Services provide insight and expertise supported by an intricate knowledge of Mobility, Internet of Things, Connectivity, Cloud & Hosting, Unified communications and Security services globally. Together, we can help you design a better business enabling you to stay relevant and competitive in a profoundly changing world. How can we increase your digital wealth? In reality, digital transformation is what you say it is. There is no one definition that will meet all needs. Each organization has a unique journey. The challenge for most is establishing where you start on your journey and importantly where you want to end up. For Vodafone, the tools we use, the way they connect, and the benefit they provide to a business sits at the centre of digital transformation in a mobile first world. Our integrated consulting and innovation approach is designed to cut through the complexity and ambiguity and bring clarity to your needs, identify opportunities for new digital strategies and to build the business case for change. Where is your business on the digital transformation journey? What digital capabilities do you need to remain competitive? Is your business ready for the technology challenges of tomorrow? Through incorporating the experience that we have gained through our digital workplace transformation, our advisory service help you understand your organization’s collaboration needs and to recommend an approach for the future. We focus on four key area: People, Process, Technology and Space. This approach provides a holistic understanding of the workplace and ensures that future solutions really deliver business value. Industries, businesses, and customers’ needs are rapidly changing and the challenges ahead continue to change. Our approach considers your business in its entirety – what is the enterprise vision? We devise transformation programmes that are underpinned by adopting new ways of working – leveraging technology to power the change. Our business advisory services provide the building blocks to a digital transformation journey and comprise of discovery, assessment and strategic modules. We work with you to understand not just the need for change, but its consequences. These enable you to make more informed decisions in connecting people and taking control of your secured and unified communications. How do you use mobile technology to allow your employees to work securely, flexibly and productively? How do you mitigate business impact through technology ? How do you make the most of your assets – people, technology and property? Technology might be the answer, but it’s the questions you ask about it that matter. Technology is only useful if it helps you achieve your key business objectives..
Our technical consultants bring a wealth of practical technical experience and expertise to help you design, implement and operate your core communications. They consider a diverse range of technologies and services across the portfolio to help build your understanding or strategy across your estate. Is mobility at the core of your business operations and is your network fit for the future? How do you optimise your existing operations and how will new technology impact your business? Are your employees using the right communication tools? The Gigabit Society is coming – are you ready? Our Innovation Programme is designed to accelerate the right conversations at the right time with the right people. It helps our clients come up with ideas to change their businesses from the ground up. It has inspired new products, services, and revenue streams; innovative ways of using technology; unimagined efficiencies and transformations in productivity. Our mission is to ensure our Enterprise customers are Ready to Innovate! Our Innovation activity is centred around coming together, using the art of storytelling to connect our beliefs, and using ideation to fuel the Enterprise ambitions and strategies. We spot disruptive innovation at play and draw upon our technology DNA to fuel the debate as together we navigate the right path into the Gigabit Society. But we want to hear from you – come and join us as we enable the Gigabit Society! Get involved in this adventure and participate in the Innovation activity and let’s write the story of the Gigabit Society together and make a difference. Go beyond the Imagination Gap and Innovate with Vodafone. To find out how we can help you through your digital transformation in a mobile first world.